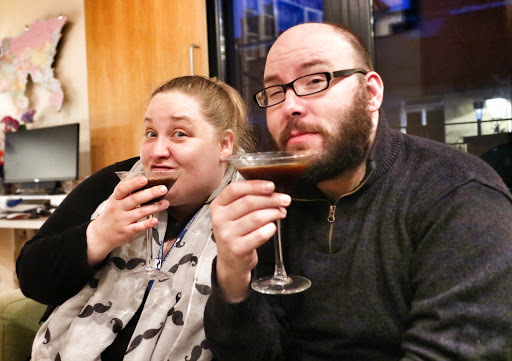 Katie & Phil came over to hang out after work so I mixed up some espresso martinis to perk everyone up. Phil brought some super tasty lebkuchen cookies that he'd baked. They didn't make it through the night. 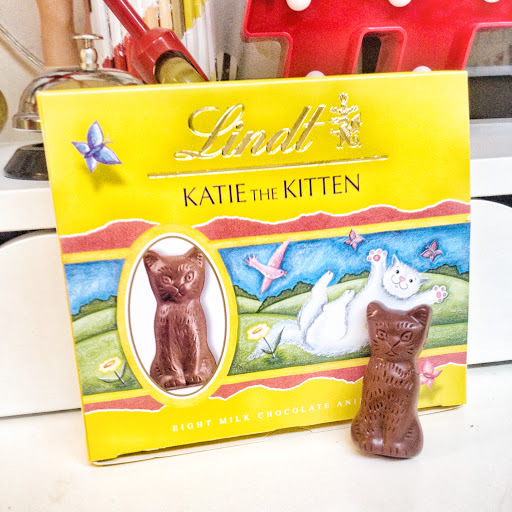 Tom & Phil nipped out to get wine later and came back with Katie The Kitten chocolates for us. It's like they know we're a couple of cat ladies!